Arsia Product Data Publishing is the version of Arsia specially designed to enable the automated layout of all types of documents (catalogs, brochures, product cards, price sheets, leaflets…) from an external data source such as a PIM (Akeneo connector included) or MDM solution (supports XML Riversand standard export format) or an e-commerce platform (Magento 2 and Prestashop connectors included). 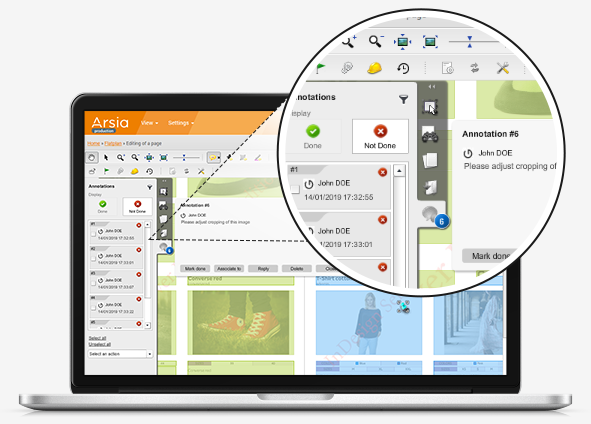 Arsia Product Data Publishing does not require any prior technical training and allows marketing and communication teams to collaboratively produce professional-quality layouts of product data. export enriched publications (videos, links, slide shows, etc.) to a digital kiosk. 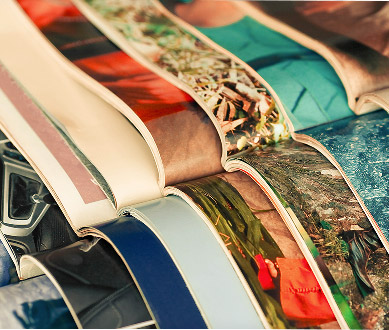 Arsia Product Data Publishing integrates the Adobe InDesign Server technology to manage professional-quality layouts. Users do not have the InDesign software or the know-how to use it can work directly in their web browser. Arsia Product Data Publishing hence differs from plugin-based solutions that require using (and knowing how to use) desktop publishing software. Arsia Product Data Publishing includes a Data Manager module, which synchronizes and stores in read-only mode all the information (e.g. texts, descriptions, images, prices, technical specifications) from your data management system (PIM, MDM, e-commerce platform, ERP, etc.). It relies on these systems’ APIs to synchronize the structure and the data and it provides automatic caching for optimal performance. 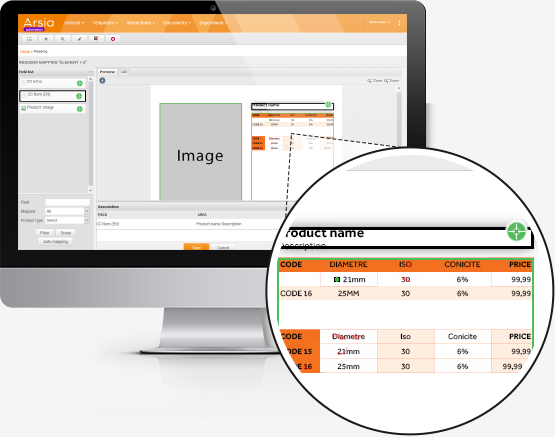 Arsia Product Data Publishing integrates and lays out product data dynamically in the templates of your choice and shows you the result on your screen. The templates are Adobe InDesign files that can be configured directly in Arsia Product Data Publishing (mapping, typesetting, reframing, layers and colors). Arsia Product Data Publishing produces new InDesign documents that you can readily edit online, using an intuitive graphical interface that lets you manage easily all components of your publications. Arsia Product Data Publishing exports these elements in the format of your choice (PDF, enriched digital publication kiosk, etc.) and enables you to download InDesign files. The exported files can be modified by a graphic artist on his desktop version of Adobe InDesign and then reimported into Arsia Product Data Publishing with marked-up changes. 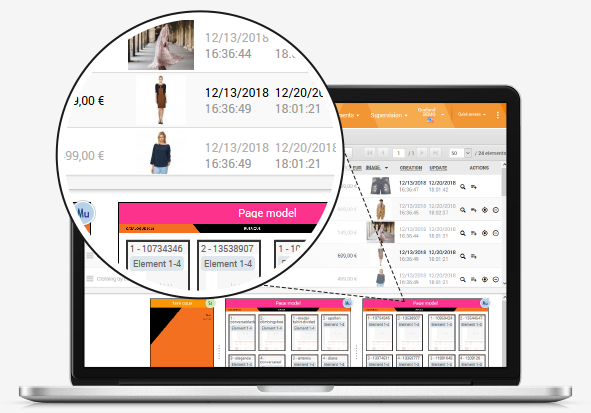 Arsia synchronizes all product data whatever the format (text, HTML, image, price, integer, drop-down list, check box, etc.) and allows enhancements like automatic calculations, pictograms, additional data entries, etc. 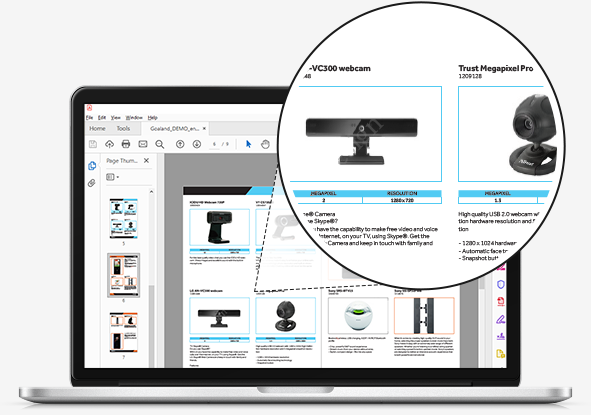 Arsia makes it easy for you to design publications: you simply drag and drop your products into your catalog pages. 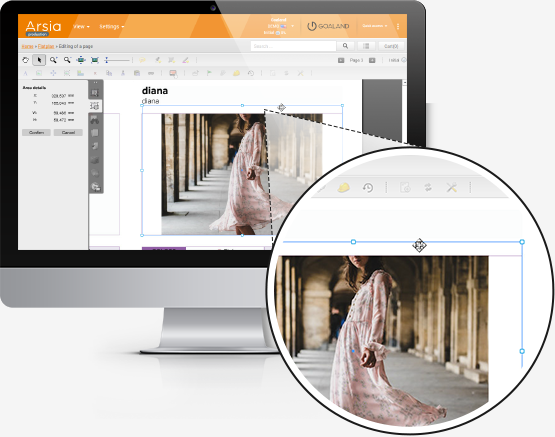 Arsia lets you edit documents generated automatically: resize and move blocks, reframe images, adjust presentation texts around attributes, etc. 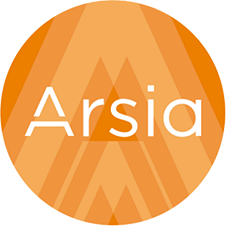 Arsia includes a configurable workflow engine that allows you to manage your validation workflow: online annotations, status of each page, automated alerts, etc. All these functions allow you to monitor closely your publications’ validation process. Arsia works natively on InDesign files, which may be used directly or exported in different formats and levels of quality (PDF files for reading on-screen or professional printing, digital kiosk…). publish your product data on your own!